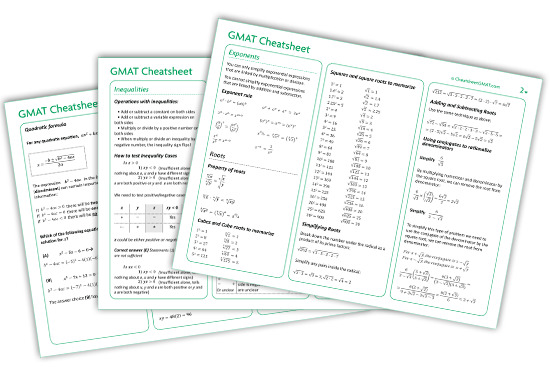 GMAT Cheatsheet helps to refresh your math in no time and it's very efficient in doing so. It's packed with useful info and it's ideal for someone who wants to quickly go over math formulas and other things you have to memorize while doing GMAT practice tests or on the eve of the GMAT exam. GMAT Cheatsheet saves tons of times, boosts your confidence at the exam and in the end increases your GMAT score.